Philo Ikonya is a Kenyan poet and novelist. She is known for speaking out against injustice and corruption and has written extensively on governance, mass poverty and post-election violence in Kenya. Ikonya was arrested several times, and brutally in 2009, for speaking out. Teacher, lecturer and editor, Ikonya is in exile in Norway since December 2009. She speaks Kiswahili, English, Spanish, Norwegian and understands Italian and French, and is the author of This Bread of Peace, Out of Prison- Love Song, and Leading the Night. Visit Philo’s blog here. 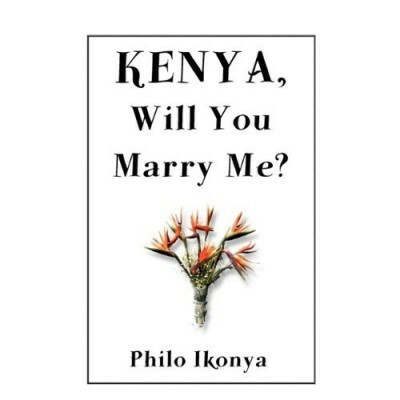 The following is and excerpt of her last book, Kenya, Will you Marry Me? with disease and death in lies. power that it walks naked. Nor will they touch a beggar’s hand. The sister healed the hostile girl. is paralysis of the heart. Women stand up for our country. I do not have to break a limb. We are in the majority in population. with hidden costs for later. and say what you believe. Women have gone before you. Hold their courage in your heart. like two women looking for help. until our vision burns again. We do it four ourselves. Grandma A to Grandma, W.
in most of our home tongues. what no one else can. Let them say you are senile. They spread their bitter gall. and many speak for it. beauty and strength to evil. that we are missing might be. Will you run there in excitement? and not invite your neighbors?